Nissan Division rearward days’ supply stands at 47; Infiniti Division rearward days’ supply stands at 49. These figures do not include vehicles in transit from Japan. Nissan Americas does not anticipate any near-term impact on sales or vehicle availability. Nissan Americas has visibility of more than 1,500 Nissan LEAF vehicles either in transit from Japan or at port in the U.S. This number includes the shipment of more than 600 Nissan LEAFs which left port in Japan on March 10, the day before the earthquake. Nissan Motor Co., Ltd. this week initiated the monitoring of vehicles made in Japan for any traces of radioactive material. Looking ahead, we will continue to implement all appropriate measures to reassure the public that all products from our company remain within globally accepted safety standards and until we are confident that any risk of contamination is completely removed. In response to the devastating earthquake and tsunami that severely damaged Japan, Nissan Americas has pledged $1 million (¥80 million) to the American Red Cross in relief effort support for the country. Nissan’s global contributions will reach more than $3.75 million (¥400,000,000 million) in cash and in-kind contributions to support earthquake relief efforts. This includes global and regional corporate donations, employee gift matching, as well as the provision of 50 vehicles to support aid agencies in the affected areas of Japan. The 8.9 earthquake and tsunami that hit Japan last week are going to have repercussions around the world. Thousands of deaths, massive destruction. From my home town in Christchurch last month with a 6.3 earthquake, to Japan, where I have many friends and associates from years of dealing in the export and import industry, it is a very real check on the fact the Earth we live on is in constant motion, and we are powerless in the face of mother nature. One of my friends from Nissan was in the US when the earthquake struck. It is hard to know what to say to someone, than offer your help and support. He flew back to Japan on Saturday, and hopefully everything is going well for him in Japan. There are obviously much more important things than cars, and supplies of cars, but part of reestablishing of the country, and getting them back on its feet will be the Japanese auto industry. The initial estimates are $100 billion in damage, and the death toll continues to rise. Thousands of people are missing. Watching the amount of destruction on TV is shocking. Its like videos of the worst tornado possible with all of the wooden houses in some areas just leveled. Nissan is closing its Tochigi assembly plant and an engine plant – both in the quake zone--at least through Friday. Elsewhere in the country, it is closing four assembly plants and one engine factory through at least Wednesday. The company wouldn't say how many units of production it expects to lose or how its U.S. exports may be affected. 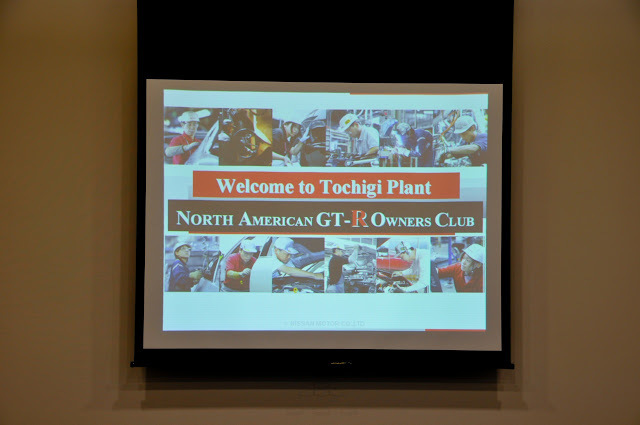 Tochigi is the Nissan GT-R production plant, and several of the members of the NAGTROC forums visited the plant during the Tokyo Auto Salon in 2009. Autoblog is reporting that power outages have brought production plants to a halt, and many are staying closed due to supplier issues, and allowing families to reconnect. The scope of the effect of the quake and tsunami has yet to be tallied on Japan's car industry, as automakers are still trying to figure out the status of their supply chain. AN reports that Honda alone has 113 suppliers located in quake zones, and they have not yet been able to reach 44 of them. Even Stateside production of cars and trucks may be affected by the natural disaster, as many U.S. plants depend on Japanese factories to supply them with various components. 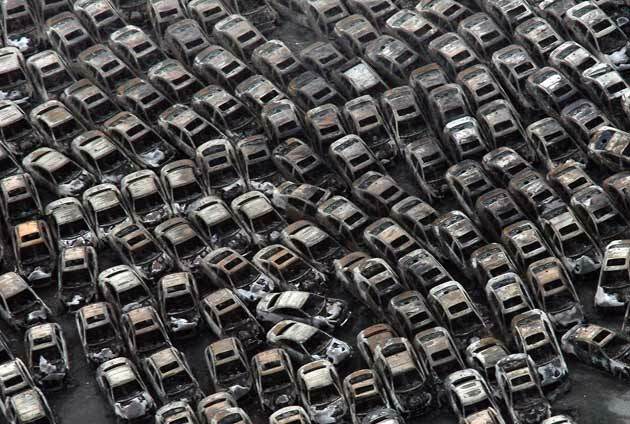 At Nissans Port of Hitachi, thousands of cars have been damaged or burned from the aftermath of destruction behind the tsunami. The stoppages at the plants, plus the damaged infrastructure in the country, could mean it will be months before new cars are once again able to be exported. It will be a long process of rebuilding and getting back to normalcy. You can donate to the American Red Cross to help the Japanese relief effort. Nissan's new press release has some new information on Nissan, its people, the plants, and vehicle status. All Nissan Americas employees and their families are safe and accounted for, including those on assignment in Japan and those traveling in the country on business. Some Nissan Americas employees who were traveling in country on business have already returned to their home countries while others are in the process of returning. Some Infiniti models and Nissan GTR and 370Z may experience delays in shipment to the U.S. and Canada with full impact still being assessed. A shipment of more than 600 Nissan LEAFs destined for the U.S. left port in Japan on March 10, just prior to the earthquake, and will arrive as scheduled. Future impact, if any, on Nissan LEAF supply continues to being assessed.